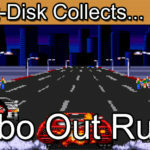 Insert Disk collects Zero Wing for the Sega Mega Drive / Sega Genesis. 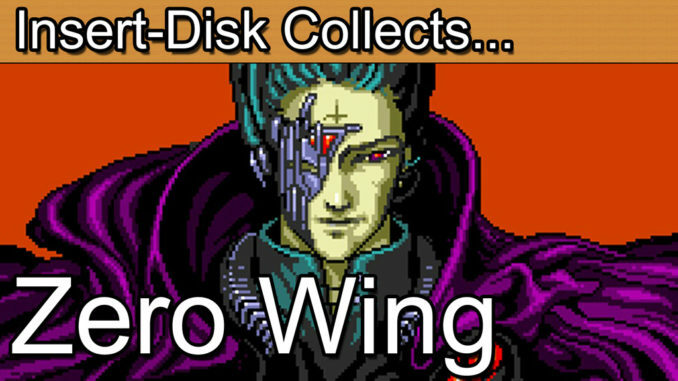 Today’s retro game review is Zero Wing for the Sega Mega Drive / Sega Genesis. This retro gaming classic is a becoming a bit of a hidden gem in the 90’s shooter department. With home releases on the Sega Mega Drive / Genesis and PC Engine. In recent years the game has become far better known for the Engrish meme “All your base are belong to us”. In truth the game lacks a certain something to propel it in to one of the better shooters on the system. It is however still well worth a play through. Greetings collectors and welcome to today’s retro game review. Its back to 1991 again today to revisit another Toaplan shoot ’em up for the Sega Mega Drive. Nowadays more famous for its highly entertaining Engrish language sections let’s revisit this classic to see what it has to offer in the way of arcade to home action. Buckle up as “all your base are belong to us” in Zero Wing. As previously covered the arcade hits of Truxton and Fire Shark formed the vertical shooter arm of Toaplans arcade to Sega 16-bit strategy. When it came to horizontal shooters Hellfire was paired with Zero Wing. 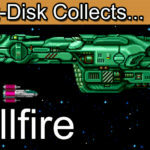 Effectively Truxton and Fire Shark were variants of each other whilst Hellfire and Zero Wing were then buddied up as two sister games. This wasn’t uncommon for games back in the 80’s and early 90’s. These games originated from the hardware of the arcade and hardware was potentially expensive so anywhere that similar chips and motherboards could be used was taken. Konami were a prime example of this. Their brawlers such as Simpson’s arcade, X-Men arcade and Turtles arcade all share striking similarities. As was the case with many of Toaplan’s shooter series. What this led to were game conversions to Sega’s 16-bit console as well as the PC Engine. In this era Sega’s games dominated the arcade so it was natural for these arcade based games to strike the relationship with Sega to be brought in to the home. Now, for anyone interested in retro games you’ll all know about the classic translations from this game. Quite frankly the whole of the opening sequence is hilarious due to the translation. The phrase “all your base are belong to us” became a widespread internet meme that lives on to this day. Generally almost all of the English translation though is enough to generate a good laugh. It’s the fact that there’s something very serious going on like an invasion and the start of an intergalactic war yet you have characters with such humorous dialogue. It’s the contrast of light and dark that sets the humour levels off. Ironically I think this actually gives the game a lift and adds a certain charm and appeal. As you can see from the animation, Zero Wing is actually really well animated and cinematic in nature. If I can set the back story for you via the box text. Cats, the leader of a band of swashbuckling space pirates, is terrorizing the galaxy. You must pilot the only remaining Milky Way attack craft into combat and stop cats and his buccaneers! So basically what we have here is a one man assault to repel space pirates. Good stuff, it’s the same story as literally every other space shooter of the era and I wouldn’t want it an other way. The fact that the space pirate is called Cats is just a bonus. So, how does it play? Well, in truth it’s very much the slower brother of Hellfire. You will have the opportunity to pick up a variety of red, blue or green weapon, each with their own special shot type. You’ll then power them up by collecting another orb of that colour. The issue I have here is that there’s not a lot of incentive to switch colour of weapon. In Hellfire it was essential to toggle through the weapons types depending on the enemy type. The weapon mechanic was well engrained in the game strategy. With Zero Wing though you only need ever pick up the green weapon upgrades in my opinion. Why? Well, simply put the green rockets not only cover half of the screen but they also act as homing missiles. I appreciate that I’m showing game footage of easy mode but even still use of the green weapon and auto fire and you’re pretty much set for the game. The game is also far less technical than Hellfire. Zero Wing plays a little slower, less frantic and there’s certainly not as much thinking to do. This isn’t necessarily a bad thing, for those looking for a more chilled out retro shooter I dare say that you’ll really get on well with Zero Wing. For those that have a taste for more hi-octane action though Zero Wing is likely to leave you a little underwhelmed. The game does look great though, bold sprites, decent sound effects and an overall good solid feel to the game. As with Hellfire, Zero Wing does have a very capable soundtrack. The soundtrack is available via the options menu so you can use the game as jukebox if you crave that hit of 90’s electronica. In terms of a physical release Sega collectors will be very familiar with the format in standard black plastic case. The artwork is surprisingly bland when you hold it up against the other Toaplan shooters, just a spacecraft with a generic boss in the background. What’s unusual here is the collector’s price. I’ve seen the PAL edition sell for £60 here in the UK (that’s getting on for $70 USD). Even a loose cartridge can set you back around £15. By all accounts though you should be able to get hold of this one for around the £20-£30 mark in box. Unfortunately for collectors Zero Wing has become a victim of inflated pricing in my opinion. With the entertaining Engrish memes so well-known I dare say that the game has attracted notoriety and therefore demand. For the same price you could have you pick of dozens of better shooters on the system. Zero Wing struggles to justify its asking price in my opinion. Given the choice Truxton and Hellfire bother deliver more in the way of true arcade action thrills. It’s this theme that runs throughout Zero Wing. Sure there are weapon upgrades and boss fights but they all feel a little muted. Running on the same specification its just clear that Zero Wing lacks that certain something to make it standout as a shooter which is a shame as its overall very solid and doesn’t do anything wrong. The issue is though that it doesn’t do anything to make you love it either. The design of the game seems to be playing it very safe in most areas. Take away the soundtrack and the excellent cut scenes and Zero Wing may lack mass appeal. Zero Wing is a game that I really want enjoy as I’m a big fan of shooters, especially when they have emerged from Japanese arcade origins. I just can’t help feel though that there’s a reason gamers focus in on the amusing dialogue and that’s perhaps because without it its unlikely that this game would have become so well known in the mainstream community. If you decide to pick up Zero Wing you won’t hate it by any means. Its fun, simple to play, reasonably entertaining and you’ll certainly enjoy the soundtrack. However, you may resent having to pay the extortionate collectors price for this largely run of the mill experience. Zero Wing is still a game worth revisiting and does have something to offer those collectors curious about Toaplan shooter games. If you can afford it the jump to Hellfire is well worth it. As a backup experience Zero Wing does get the job done though for some somewhat muted arcade action.